The Fox River and its tributaries are under constant and increasing pressure from commercial development, proposed bridges, new roads and suburban sprawl. The river is choked by outmoded dams and polluted with excessive nutrients. 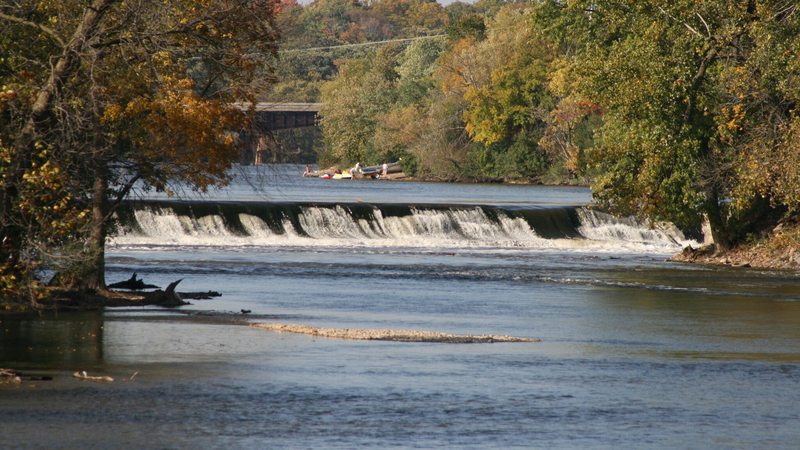 Inadequate stormwater plans and infrastructure have destructive impacts on the river’s water quality and general health. The river has a voice and some of us hear it. But it can’t speak for itself in those rooms where decisions get made about what we build or destroy in or around it. It can’t rid itself of the man-made objects we drop, leave behind, throw away or blow into the river. It can’t determine who’s polluting it, or the source. Only people who care about the river and all the life that depends on it can do that. Your membership is necessary for the defense and protection of the Fox River and its watershed. Friends of the Fox River cannot achieve its mission without the participation of concerned citizens like you. Your membership will help to maintain our existing programs and assist us in expanding our work throughout the watershed. Whether you choose to become a clean up volunteer, a monitor, participate in a Fox Rescue cleanup, attend Friends of the Fox River events, donor, or simply be counted as a member, you are helping protect the Fox River and its tributaries. In return, we will speak on your behalf for the river and watershed, provide you with educational events, newsletters, volunteer opportunities, and reports of our activities. 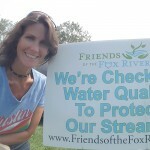 Together we can create the culture of stewardship needed to protect the Fox River now and for future generations. Memberships run on a calendar year basis – January 1st to December 31st. Please renew your membership before the beginning of each year. You can use a credit card if you don’t have a PayPal account. Please be a sustaining member. Please choose “recurring payment” in the checkout process. NEW! Join on or after July 1st, or at our “No Clean Water, No Good Beer” annual fundraiser in August, for a 1/2 year adult membership of $25. Friends of the Fox River is a 501(c)(3) nonprofit organization. Your membership and donations are tax deductible as charitable contributions. Advance notice, advance registration, and discount on tickets for regular and special canoe trips, and other special events. To allow our organization to best serve your needs, we would like to know what you want, and what you can offer. Please respond to the information below. Volunteer - help with events, writing, administration, etc.